Christian Growth: Do You Understand And Are You Focused? Christian growth is a reference to learning more about God's will and being more obedient to it (see II Pet. 2:2). If you have not already done so, make sure you click here to sign up for your free monthly newsletter, and tell your friends to do the same. Beyond Christian salvation, at the core of Christian growth is a healthy intake of and obedience to the word of God. In the word of God, we will see the urging to love God, to exercise self love, and to work on loving others. Being intentional with supportive relationships will help you with your growth. As you work on growing, you can expect to have to reflect on the following: the will of God, Christian fun, personal Bible study, church membership, accountability partners, Christian worship, Christian prayer, Christian giving, personal evangelism, and community involvement. Love Your Pastor: 7 Helpful Tips. Christian Relationships: 15 Summary Highlights on "Blueprints"
Christian Worship: Are You Aware of the Purposes and Parts? Christian Worship: Are You Prepared, Participating, and Practicing? Do you have Christian salvation or just good religion? The Word of God:Do you receive enough of it? How do you show that you love God? Self Love: Is this a Part of Your Growing in Christ? How many supportive relationships do you really have? 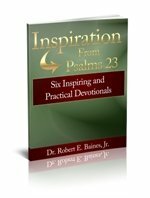 Personal Bible Study: Do You Have an Effective Approach? Does Christian giving give you heartburn? Blue Letter Bible and Bible Gateway are great free Bible study sites. Ultimate Christian Resources is a great directory for resources related to Christian growth.